Growing a small business is no easy task. It takes ingenuity, resolve and setbacks before reaching success. Dan knows this because he’s lived it. From a one-person basement shop to an award-winning agency, Dan navigated the tumultuous small business landscape and lived to tell the tale. Moreover, he’s helped over 1,000 individual brands recognize the better side of business: all while building a best-in-class agency that’s collectively earned over 200 design awards. Ever since he began hand-lettering trucks at 14, Dan has been chasing his passion for brand building and logo design. His expertise on small business marketing has been referenced by Entrepreneur, Inc. Magazine, Fox Business News, SiriusXM, SignCraft Magazine, Intuit Small Business Blog, The Newark Star Ledger, HVACR Magazine, Contracting Business, and Green Industry Pros, among others. Dan is frequently recruited to speak at workshops and industry trade shows as a brand master and champion of small business success. 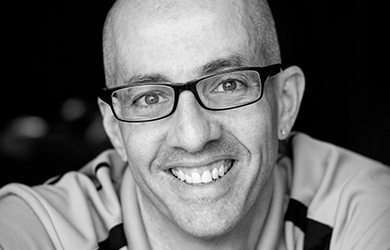 The definitive industry expert on logo design for small business, Dan has authored three books on the subject and established KickCharge® Creative as the premier brand-building agency for small businesses nationwide. His latest book, Building a Big Small Business Brand, is a critically acclaimed playbook for all-things branding. Check it out here. Dan relishes helping small business owners and entrepreneurs crush their competition. As President of KickCharge, he oversees all aspects of brand design and development. As Creative Director, he combines his design passion with seasoned brand-building expertise. As the nation’s leading small business branding advocate, Dan reminds clients to invest in their brand and embrace it as the rock-solid foundation of a successful business. Driven by his relentless desire to surpass the industry standard for small business branding, Dan operates with a single mantra in mind: Be better today than you were yesterday. 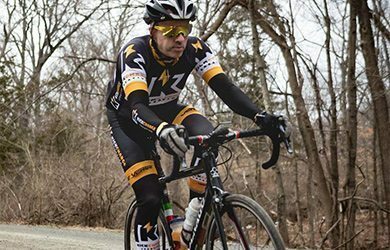 Fiercely competitive by nature, Dan is also an avid Cat 3 cyclist, as well as the organizer and promoter of our agency’s very own team – KickCharge Creative Cycling Team, which includes nearly a dozen cyclists who compete or ride in various cycling events in New Jersey and beyond. When he’s not leading his team or coming up with killer designs, you’ll find Dan spending time with his family. 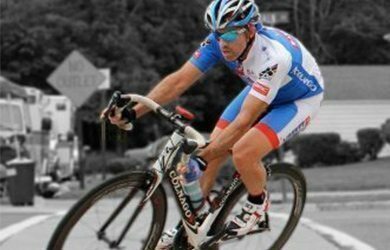 He’s also a hard-core Cat 3 cyclist, logging about 7500 miles annually and competing in over 20 races per season. “Cycling is the hardest sport there is, bar none. That could be why I love it: because it’s not easy.” Dan also enjoys saltwater fishing in his spare time. I’m very proud of building this firm from the ground up, and of the work we do here and how it helps our clients grow their business. I’m also proud of this super-creative team I’ve assembled. The logo design books that I wrote are another proud accomplishment. The awards, front covers and publicity are nice, but there’s also a tremendous amount of satisfaction in knowing that we’ve helped nearly 1,000 small businesses market and grow. Nothing makes me happier than to hear how our work has taken their business to a whole new level. Build a brand with a positive brand promise, and amazing things happen. Never allow your success to lull your business into a false sense of complacency, because success in spite of poor identity is not a valid reason to perpetuate it. Imagine how much more successful your business might have been with a better brand. And for my team, my rule is simple: Be better today than you were yesterday. It has served us pretty well thus far.